With cocktails, a small change can go a long way. Consider the classic Daiquiri. On surface, it looks very similar to the Lemon Drop but the taste difference is significant. So lets take closer look. A classic Daiquiri is made from limes, rum, and simple syrup (sugar and water). Of course, ice is also essential. The only thing worse than warm daiquiri is a warm, overly sweet one. Made properly this drink should be bracingly cold and refreshing clean on the palette. 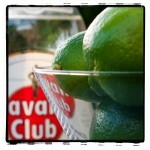 Fresh limes combine beautifully with rum both in terms of taste and smell. In the realm of mixed drinks these two are a perfect compliment. The simple syrup is essential to knock off some of the sharp rum and lime the edges but too much will ruin the experience. The origin of the daiquiri is in Cuba. It should be possible to imagine hot tropical afternoon and a terrible thirst. Not the place for a sweet tooth. Rum, unlike gin or vodka, is an aged spirit. This means that it takes on its distinctive character not just from how it is distilled but from how it was stored. 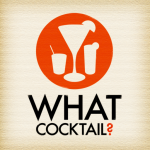 What does this geeky detail mean for the cocktail connoisseur looking to enjoy a daiquiri? Being respectful to a drinks origins is always good place start and a competent bartender will use white rum, preferably Cuban. If you feel like throwing caution to the wind Havana Club anejo is worth flirting with but darker rums (like those from Jamaica) are often too heavy tasting and make for a muddy coloured drink. 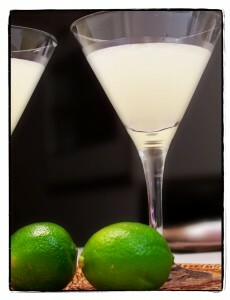 Because it’s such a simple drink there are numerous variations on the daiquiri theme. Almost all of them will be overly sweet – and if they are “frozen” they are best avoided. Unless, you think a Starbucks frapachino is worthwhile coffee and if that’s the case, have fun but you might miss out on the finer aspects of this great drink.